We live in a society that does not always embrace or value the diversity of girls and women of color. Sometimes girls and women of color are often perceived negatively, negatively stereotyped, negatively labeled because of the color of their skin or race. 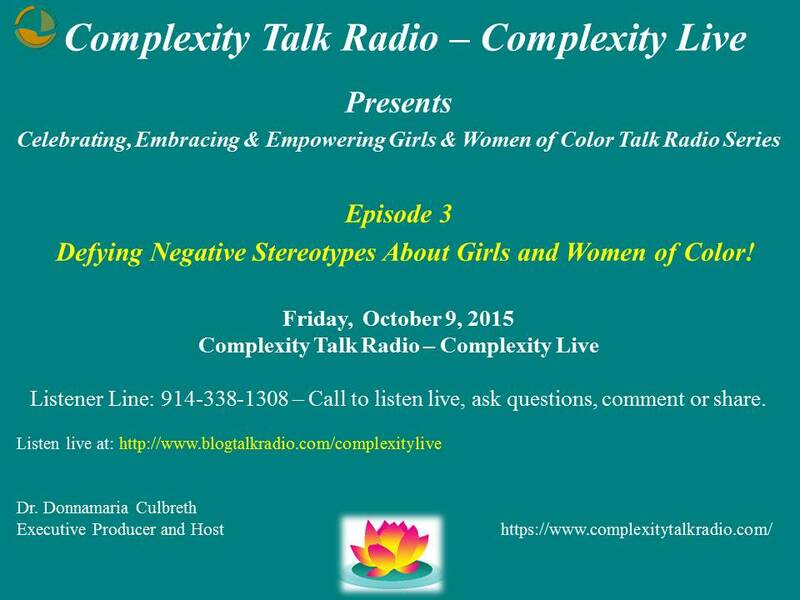 Join Dr. Culbreth and Dr. Jung-Kim and learn how to defy negative stereotypes and rise above the negativity. ← Women of Color: Perseverance, Passion and Purpose.